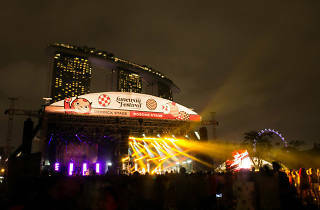 The sixth edition of the indie music festival rolls into town packing its biggest line-up yet. With Battles, Grimes, Chvrches, Thundercat, Beach House, Purity Ring and many more set to take the stage, Laneway 2016 promises to be a colossal affair. Look out also for local stars Cashew Chemists, Intriguant and Riot in Magenta. Plus, there's gonna be a fourth stage set up by local collective Syndicate to feature electronic DJs and visual artists such as JPS from Australia, and homegrown names like Mean, Brandon Tay, Rah, Fauxe, Kiat and Kane. We pick out five must-watch acts here.